Just your standard adventuring party: human fighter, halfling rogue, elf wizard, and...wait, is that paladin a ghoul? I wrote something about this product. You can take a look at it on endzeitgeist.com. Is this basically all the "ADVANCED RACES" booklets combined into one large book? Sort of? It does include all the Advanced Races booklets, but it also includes additional information (for the Gearforged, Lizardfolk, Darakhul in particular). 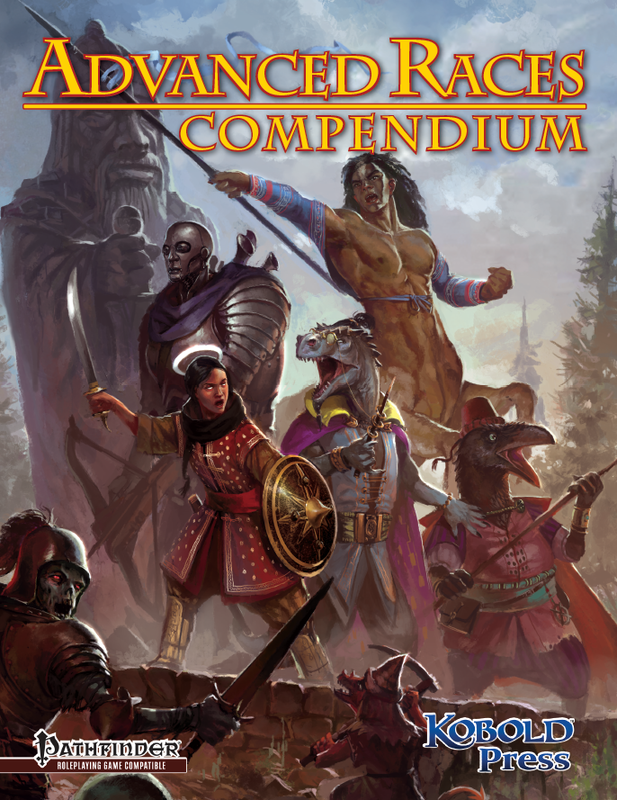 There are also 10 new races that were not covered by the booklets (the Dhampir, Drow, Jinnborn, Minotaurs, Sahuagin, Trollkin, and 4 more small ones, the Ratfolk, Suli, Weresharks, and Kitsune). In addition, the material has gotten some additional rules development throughout and quite a bit of new art. So.... Yes, it includes the races from the series, but it also includes a lot of brand-new and updated material. Will there be a pathfinder version of the extra races in Unlikely Heroes? Dieses Produkt wurde am January 30, 2016 in unseren Katalog aufgenommen.